Grand Master John F. Tompkins was born in Alexandria, Louisiana, and raised in Michigan and Ohio as a dairy farmer. He attended Ohio State University in Columbus, Ohio, before enlisting in the U.S. Army in 1962. At that time, he began his martial arts career by studying Judo and Jujitsu. By 1963, he had earned brown belts in each of those disciplines. While he never formally pursued either of those styles after that, he thinks they have contributed significantly to his TaeKwon-Do career. Beginning in 1965, Grand Master Tompkins fought as a door gunner in Vietnam for 18 months. During this time he began studying TaeKwon-Do and joined the ITF. He considers it a great privilege to have studied alongside the ROK (Republic of Korea) Marines under well-respected instructors. 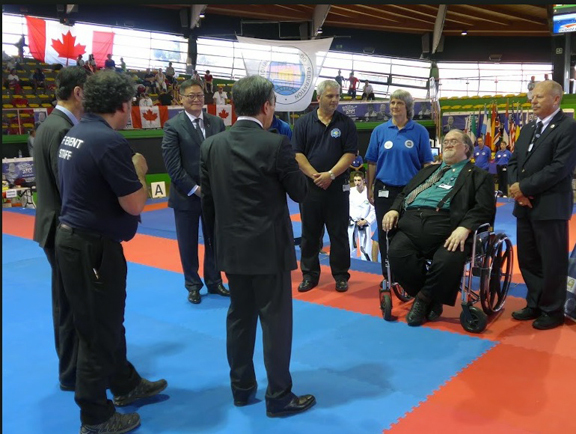 His career in martial arts was seriously hindered by a congenital back problem, and from 1967 to 1971 he recovered from his first spinal fusion. In 1972 he began rehabilitation and by 1975, Mr. Tompkins had earned his 1st degree black belt. That same year he began to organize Missouri for the ITF. In the period from 1979 to 1983, Grand Master Tompkins made frequent trips to Toronto to study under Master Parks and General Choi in the General's home. In 1982 and 1984 Grand Master Tompkins served as assistant coach for the U.S. Teams. Promoted to V Dan in 1986 he hosted the first ITF International Instructors course in the U.S.A. Regarding his philosophy of TaeKwon-Do, he believes that developing kicking and punching ability is simply a fortunate side benefit of studying the art... the really important part is the self-discipline. In the summer of 1992 I attended my 30 year high school reunion. I have always told everyone that my pursuit of the martial arts began in the early 1960’s. My old school chums gleefully reminded me that my obsession with the martial arts began in 1957 when I transferred to my alma mater; Dublin High School. Unfortunately, martial arts instructors were a rare commodity. With the assistance of a Japanese exchange student and the inexpensive books of Bruce Tegner, I began to quench a burning thirst for martial arts knowledge. My formal martial arts training began with Judo and JuJitsu. 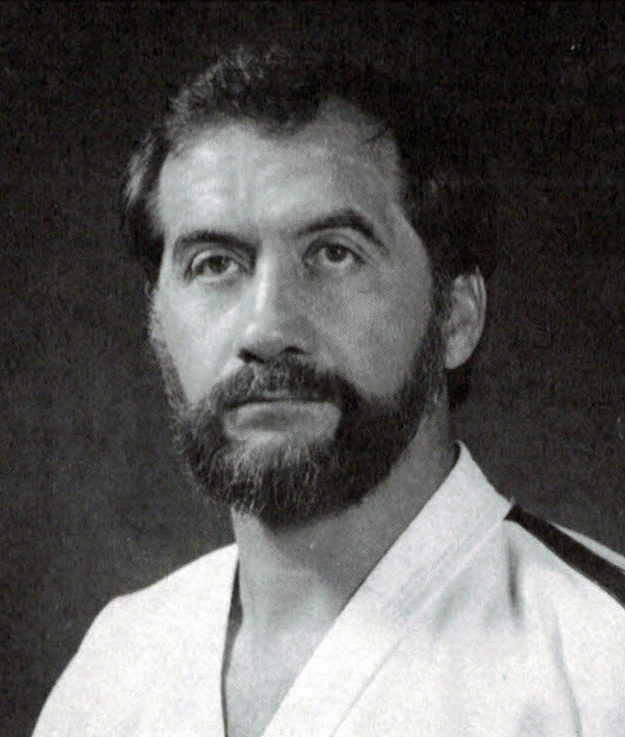 1963 to December 1965, Rodney Sarcharnosky taught me my grappling basics. 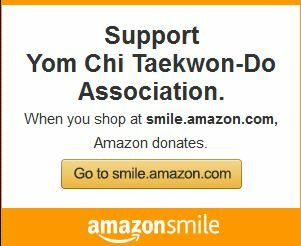 As a combat door gunner in Vietnam, my Taekwon-Do training (December 1965 to July 1967) was conducted by Republic of Korea soldiers under the direction of 4th Degree Black Belt and now Grand Master, Park Jung Tae. 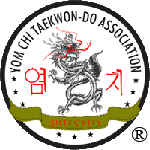 My training with the Korea Taekwon-Do Association began in 1965 under one of Grand Master Park’s students in Vietnam. I lost track of TaeKwon-Do from July 1967 until January of 1973. During those years I continued to train in JuJitsu and Karate and underwent 2 years of rehabilitation from my first spinal fusion. Continuing in the USA under B C Yu I also resumed training privately under Grand Master Park’s direction in 1976. 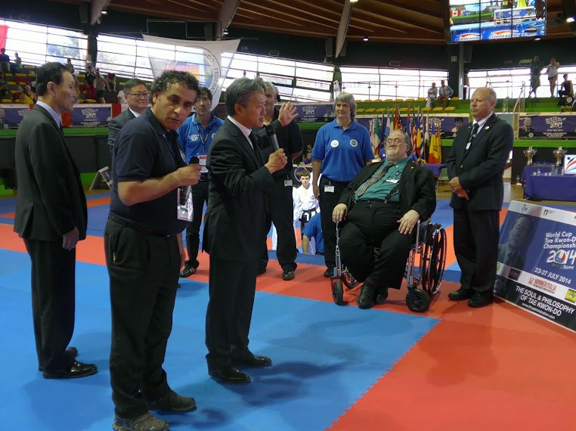 At General Choi’s direction I joined the USTF in 1979 and as a regional director of Master C. E. Sereff’s USTF from 1979 until 1989 I spread ITF TaeKwon-Do throughout the south, central midwest and Alaska. Between 1973 and 1989 I had the opportunity to train consistently in seminars with Gen. Choi Hong Hi and Grand Master Park. Gen. Choi’s background in Soo-Bak-Gi and Karate influenced the development of the Chang-Han style (General Choi’s method) in such a way that it allowed my early training in both Judo and Ju-Jitsu to mesh perfectly with the art that Gen. Choi founded. It doesn't seem possible that 40 years of training and teaching have flown by so quickly. I have been truly blessed to have been able to train in TaeKwon-Do over a long period of time under the tutelage of Grand Master Park and other great instructors. In January 1990 Grand Master Park began to put his own stamp on this evolutionary process. His patterns, referred to as Jee-Goo were composites at first but toward the late 90’s he came into his own and developed some very nice and refreshing patterns. 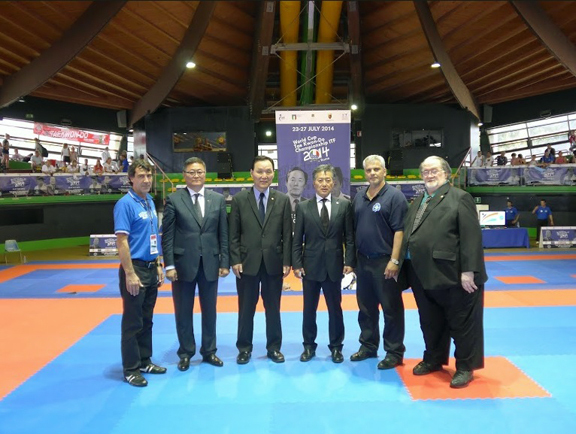 I resigned as Vice President of the Global TaeKwon-Do Federation late in 2001 because of professional differences and rejoined the ITF early in 2002. Grand Master Park’s death has left a great void in my heart which I will attempt to fill with a renewed sense of purepose in Master Choi Jung Hwa’s ITF. Today more than ever, the devastating art of TaeKwon-Do must be dealt with from a moral as well as a physical perspective. The attitudes that are exhibited at open tournaments by both student and instructor alike continue to convince me that while the open style of martial arts has spawned a lot of excitement and creativity, the loss of discipline, self control and a practical approach to technique and patterns has adversely affected the evolution of good martial arts. Today, even many of the new seniors in traditional styles have not been instructed in proper protocal. The open styles are not the only ones in need of Do training. As I travel the world, the lack of Do, in all aspects of the martial arts world, causes me personal grief. We all need to renew ourselves to the commitments of a life of Do. Honor your parents and grandparents! Be patriotic! Love your wife and family! Be loyal to your instructor! Support your peers wholeheartedly. Fear God, practice this art and enjoy your life which I hope God will bless, as he has blessed mine. Do not expect life to be fair, but merely to give you a chance to participate in a manner of your choice. Good Luck with your training.